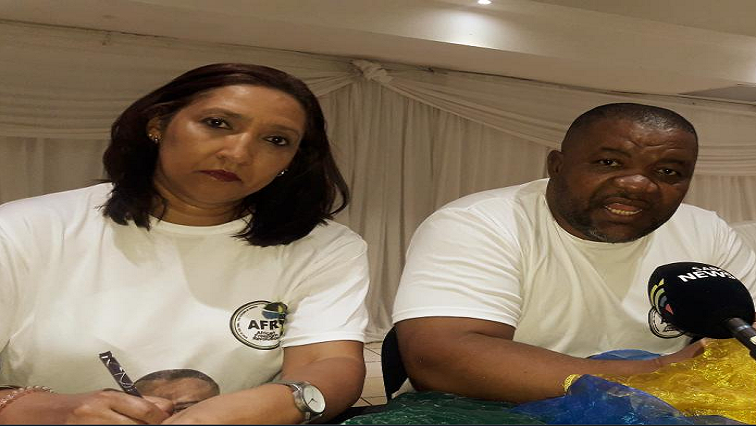 Newly-launched AFR party has high hopes ahead of the elections - SABC News - Breaking news, special reports, world, business, sport coverage of all South African current events. Africa's news leader. Party Chairperson, Anthea King van Vollenhoven says they will also be targeting voters in the minority groups. The African Freedom Revolution (AFR) is hoping to get up to 3 million voters in the upcoming elections, a figure that is double the number of votes obtained by the EFF in 2014. That’s the message from party president, Bishop Bheki Ngcobo. The party says it will contest elections nationally and in all nine provinces. Ngcobo is a well-known supporter of former President Jacob Zuma. AFR is currently taking their election campaign nationwide. South African voters will be spoilt for choice with about 285 political parties that have registered with the IEC to participate in 2019’s national election. Ngcobo is among religious leaders in KwaZulu-Natal who have been mobilising support for former ANC president Jacob Zuma at his court appearances, but Ngcobo says they will not ask the former president to join their new political home. Ngcobo says he will continue supporting Zuma at the Pietermaritzburg High Court. Party Chair Anthea King van Vollenhoven says they will also be targeting voters in the minority groups. The party says it plans to embark on various activities in an attempt to woe the hearts of voters.